Installed a USB power port for charging SAMSUNG S5 Galaxy. Worked flawlessly for 3+ years. Now, the phone "connects / dis-connects" from charging status. Connects for about 3 seconds, then disconnects for about 10 - 12 seconds. Took voltage readings from the four tabs in USB port. So, does anyone know what the voltages should be? But what are you comparing it to? Vibration in the connector may have worn down the conductor. I just put a small amount of Dielectric grease on my micro USB plug. Last edited by Hans&Feet; 11-16-2017 at 08:18 PM. 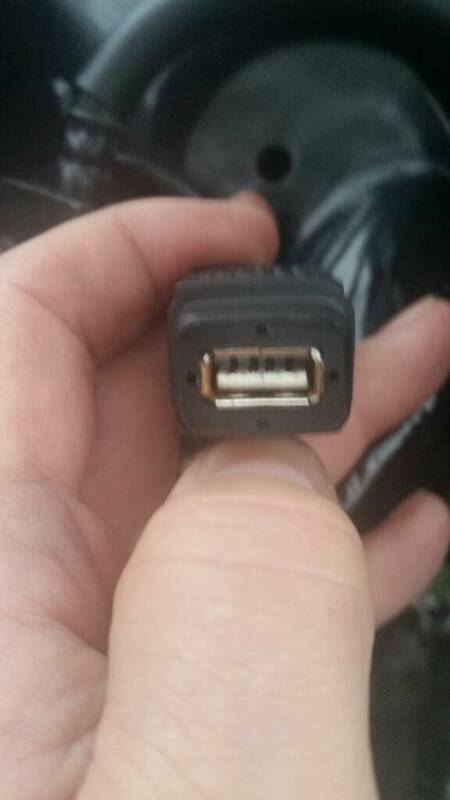 Thinking the connectors are worn from vibs too. I use the phone for everything while riding...tunes, nav, and a speedometer app. Oh well, another Thanksgiving weekend project.